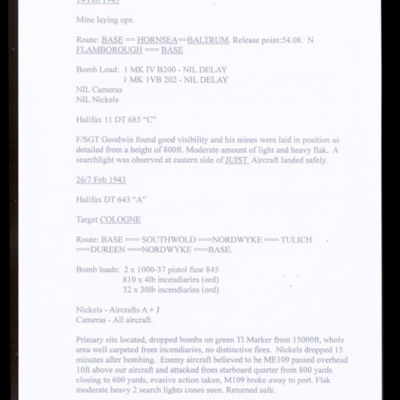 Details of nine operations carried out between February and May 1943 from RAF Elvington on 77 Squadron flying Halifax. Targets include Cologne, Berlin and several in the Ruhr. More than 25 airmen kitted up and standing outside two huts. 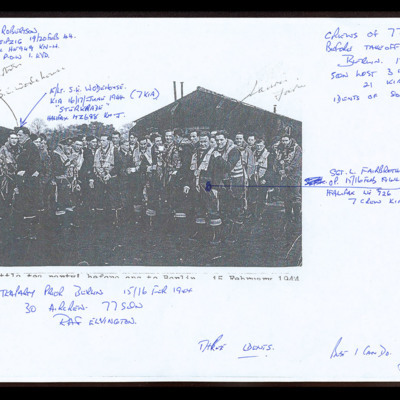 Various airmen are identified and annotated on the image - ALE Robertson, SE Wodehouse, L Fairbrother.